The species is distributed in Southern Europe, Lebanon, Syria, Iran, Southern Ural, Caucasus, Transcaucasia, and Turkey. Armenia is inhabited by subspecies P. d. versicolor (Rühl, 1895), which is widely distributed across the country, mainly occupying grasslands and scarce woodlands, as well as occurs in riparian forests and sometimes in orchards. The elevation range occupied by Meleager's Blue is from 1200 to 2400 m a.s.l. It uses various legumes as host plant, such as Astragalus spp., Coronilla varia, Onobrychis spp., and Lathyrus spp. ; during growth the caterpillars are patronized by ants. Its flight period begins in early July and lasts until end of September in single generation. The species can be considered as common in most of its habitats, and its population trend demonstrates stability during 2003-2013 (p>0.05). It appears that despite the fact of some species' specialization it can survive under active seasonal livestock husbandry. However because the pastures and the range-lands of Armenia are usually overgrazed, it potentially can have negative impact on ecosystem and on the species. The species is not evaluated for IUCN Red List and for Armenian Red Data Book, as well as is not included in the CITES and in Appendices of Bern Convention, however it is assessed for European Red List as Least Concern, which corresponds to the proposed National status. 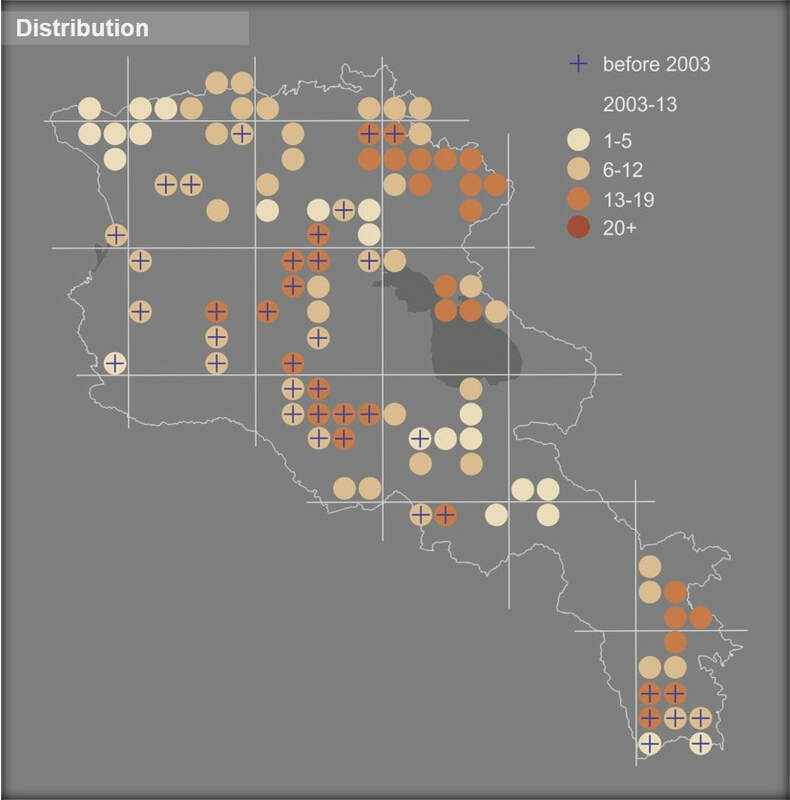 At current part of its range in Armenia is covered by most of Protected Areas, Emerald Sites, and majority of Prime Butterfly Areas, however, significant portion of its habitat lays within community owned pastures and range-lands. 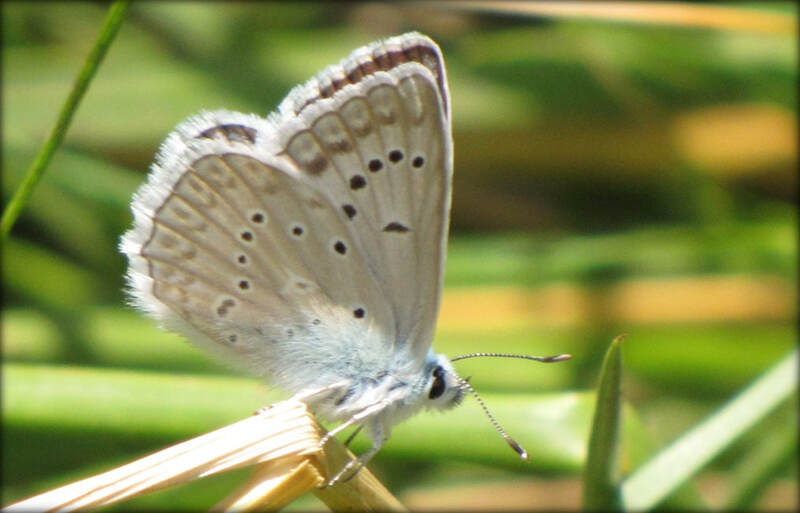 Thus, although there is no need for specific conservation measures, however taking some level of Meleager's Blue's food and habitat specialization into account it is important to continue its monitoring as an indicator of grassland ecosystems.